Bringing together a lively mix of natural beauty and a family-friendly environment, Riverwalk at Lakewood Ranch offers one of the best options for community living. Built along an assembly of preserved woodlands and wetlands, Riverwalk real estate brings its residents closer to Mother Nature and its abundance of wildlife. One of the early villages developed in the 8500-acre master-planned development, the community that makes up Riverwalk real estate has established itself as a caring social circle of families and retirees. Prospective buyers will appreciate the vast natural beauty that Riverwalk homes for sale have been unobtrusively built into. Each home is as much a part of its natural environment, with its rich landscaping and eco-friendly building materials. As one of Lakewood Ranch’s communities, Riverwalk promotes green living and an environmentally conscious lifestyle. The price points for Riverwalk homes for sale vary with each neighborhood that comprises the large community. The single family residences may cost around the $200s up to the $500s, depending on the size and features. There are several floor plans to choose from, with areas ranging from 1541 to 3522 square feet. Riverwalk residents also enjoy the proximity to Lakewood Ranch Town Center, a sprawling commercial hub that features a diverse range of shopping and dining establishments. The palm-lined walk on Main Street is flanked by cafés and ice cream parlors, specialty restaurants such as trattoria, sushi bar, bistro, and the favorite grill houses. In addition to the lively blend of Main Street shops and restaurants, the Lakewood Ranch Cinema features an eclectic array of film choices, from Hollywood’s latest chart-toppers to rarely released independent films hand-picked by the Sarasota Film Society. 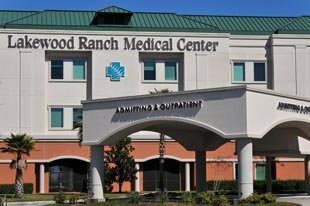 Across Main Street, you’ll find the state-of-the-art facility of Lakewood Ranch Medical Center. Offering a total of 120 beds for acute care, with integrated in-patient and out-patient services, the hospital houses a staff of over 400 healthcare providers. A separate Medical Office building lies adjacent to the medical center and provides diagnostics and laboratory facilities. One of the main reasons for settling in Riverwalk is to be part of its family-oriented community, which is punctuated by the numerous top-rated schools all over the area. The award-winning R. Dan Nolan Middle School is one of the schools inside Lakewood Ranch. Other distinguished educational institutions include The Imagine School, Robert E. Willis Elementary, Lakewood Ranch High School, among others. 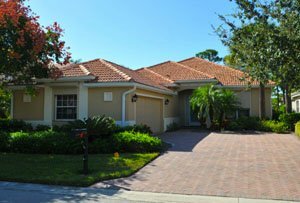 If you lead an active lifestyle, then Lakewood Ranch is all the more suited for your needs. In addition to 150 miles of hiking and biking trails, there are several facilities for fitness, tennis, swimming, baseball, and—especially—golf. 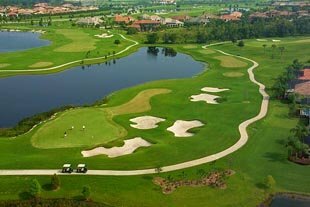 Lakewood Ranch’s renowned fairways are composed of the Ritz–Carlton Sarasota’s The Members Club, legendary golfer Arnold Palmer’s signature golf course, Legacy Golf Club, and Lakewood Ranch Golf and Country Club’s three 18-hole golf courses, Cypress Links, King’s Dunes, and Royal Lakes. Once you find the home that suits your needs, you can begin to live a life of fun and excitement, bundled with a conscious effort to care for the environment. This is the ideal lifestyle that the community of Riverwalk supports, and that which is enjoyed by its satisfied residents.